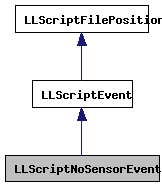 Definition at line 800 of file lscript_tree.h. Definition at line 803 of file lscript_tree.h. Definition at line 811 of file lscript_tree.h. Definition at line 3159 of file lscript_tree.cpp. Definition at line 3131 of file lscript_tree.cpp.